BUY A SAFE CAR. Subaru is the only manufacturer with a winner in all 4 vehicle classes in which it competes. Is one of your goals this year to buy one of the safest new cars available in the automotive market these days? If so, this article will show you the list that experts just shared about the safest ones. 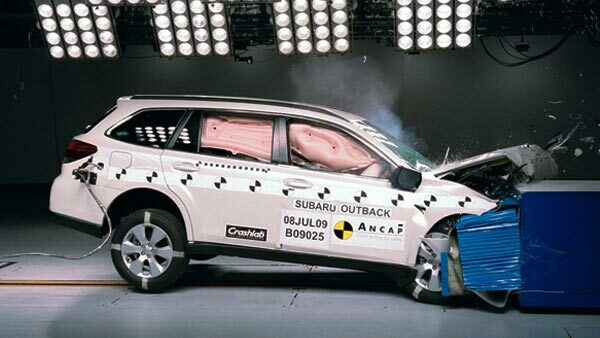 To come up with it, raters used scores obtained in crash tests for front, side, rear and first time rollover. They were 27 the number models listed for the experts. As usually, Volvo and Volkswagen manufacturers had some of their models included. Subaru isn't behind the top list. This is the only company which got a high ratings for all tests, with a winner in all 4 categories they competed. This doesn't mean you should get worried if your car isn't in the list. All vehicles in the market have to meet the minimum federal safety standards, however, some of them make a better job in order to take care of the driver and passengers. The 'Top Safety Pick Awards' recognizes vehicles that make the best job to protect people in front, side, rear and now, rollover crashes, based on good ratings in tests made by the institute. Winners also must have electronic stability control, which some studies show that this feature reduces significantly the risk during a crash. For this year, eight cars and nineteen SUVs won these recognitions. If you want to find out more about the winners and how the cars were evaluated, check the link below, visit 27 winners of 2010 Top Safety Pick award.